By the mid of this November, 2014, my family and I have completed a 12-months abstinence from cane sugar (white and brown) which we intend to continue for good insha’Allah. I have never in my life felt so healthy and energetic as I do at this stage of my life. I even feel younger than I was 15 or 20 years ago. My mind works much better, my emotions are way more balanced, and my overall state has enhanced dramatically. So if you intend to ask me whether it is worth it to give up sugar, my answer is a huge YES! Those who know me well, are well aware I had a sweet tooth! I actually still! 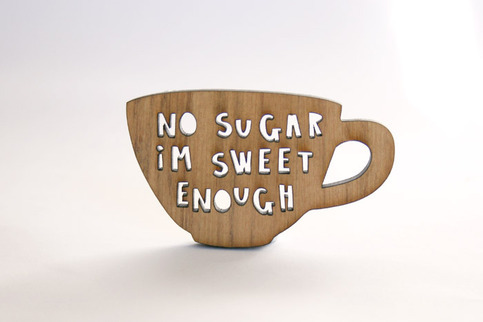 Like many people I knew sugar wasn’t good for me, but sweetness was irresistible. Over the past few years I had abstained from sugar for a couple of months on and off a few times, only to eventually slip back into the trap of sugar. Then my wife and I decided to cut down on sugar. One day I read an article by one of the most renowned heart surgeons in the world citing evidence that sugar consumption is the root cause of heart disease. I shared the article with my wife and we made the decision: no sugar anymore! And guess what….this made all the difference! And here is the first, and probably most important, secret to my success in giving up sugar. 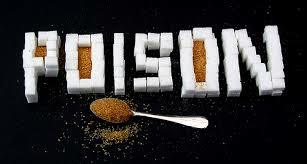 If you and your family are on the same page with regards to giving up sugar, your chances are high! MashaAllah my wife spent the next few days enlightening our three young children (7, 5, and 3 years old at the time) on what sugar was and what consuming it the way most people do would lead to. They watched real stories of diabetic children, overly obese individuals, and people with cancer, all conditions were admittedly caused by excessive, sometimes ordinary, sugar consumption. This investigation lead to more learning about the damage sugar could cause the body such as heart disease, liver failure, and much more. This new knowing helped me change the meaning of sugar in my head from a ‘sweet thing’ to a ‘deadly poison’. Out of their own accord, and with all the innocence of their age, the kids said: we don’t want to consume sugar anymore! This awareness session for the kids had to be maintained for a few weeks almost on a daily basis so that the conviction that sugar was bad could sink deeper into their minds. And so it did, Allah be praised! This brings me to the second reason why we could eliminate sugar from our diet without having to feel deprived. Most people maintain the idea that sugar is sweet and desirable yet at some level of consciousness know there is something unhealthy about it, especially when large quantities are consumed. This will only create an inner conflict: part of you would want it, and the other part would resist it. Soon you will feel worn out and succumb to your old habits. The secret is not to use willpower. As famous psychologist Roy F. Baumeister found out in his experiments on willpower that each person has a limited amount of it. And once you use this amount (by having to make decisions, make choices, resist temptations, etc) you will simply run out of it and become vulnerable to any temptation no matter how weak it is. Therefore, sheer will power is not a good strategy for permanent change. And this is the reason most diets fail; they resort to will power…they resist for a while but soon, their desire and appetite takes the better of them. To learn more about willpower, read: (Willpower: rediscovering the greatest human strength, by Roy F. Baumeister & John Tierny). Instead, I decided to change the meaning I had for sugar. So the word sugar was somehow equated with ‘poison’ in my head. The way I did it was by immersing myself in this new knowledge, review it on a daily basis almost, create mental images of how sweets and candy go into one’s mouth to destroy their internal organs! And voila…it worked! Now if I see someone eating sweets I truly feel sick in my stomach! I found out my wife and my kids were having a similar experience, but at a milder scale. The good thing was we didn’t have to discipline ourselves or kids on giving up sugar; it just became a self-motivated behaviour! This was probably the biggest challenge to the kids. Seeing other kids devour their colourful sweets (poison) is not easy to ignore. What really helped them was being together. So if one fell to the temptation, the other two would remind him. It worked great so far, and I pray it continues to be so. One of the worst moments for me and my wife is when kids go visit their grandparents. At the beginning we would hear something like: “Fear Allah why are you deriving your kids from sweets!”. I had to learn to let that go; water off the duck’s back. It is amazing when other relatives realize what you are doing, they sneak around and try to tempt your kids more into candy! Just as if they are on a noble mission, they try to exploit children’s vulnerability and lack of control. But alhamdulillaah the kids held their firm to their stance and would respond with something like: “this is poison…it is not good to offer poison to kids!” That was wicked…that person would feel really embarrassed! Alhamdulillaah slowly the kids started to overlook candy and sweet altogether and would also gravitate to fruits. However, a couple of times one of them fell to the temptation but would feel guilty afterwards and disclose her secret and commit again. By the way, we did not impose any system, the kids just invented their own system for dealing with all these situations. I learned something from this: trust your kids, and they will amaze you! What does this have to do with being a Muslim? Allah has given us our bodies as the worldly vehicle for self-expression in this life. The state of our body has tremendous impact on how well we can express our souls through our physical and mental activity. When our health is poor, our souls suffer greatly. You might be the best graphic designer in the world, but if your design programs are plagued with serious viruses you can only perform up to a certain point and your potential will be limited. The same applies to how the state of your body reflects on your soul. When you abstain from sugar, you will sleep less hours but have better quality sleep as well. Your days will be full of energy and refreshing feeling of lightness. Your brain will be more acute and function much better. This has an undeniable effect on your worship. Actually my experience is that I started to have more focus and khushu’ in the Prayer, and this helped me develop the first draft of my forthcoming book on the ‘inner experience of the Prayer’ and add deeper insights. My level of comprehension and study outcomes have improved, alhamdulillaah. I also started exercising 3-4 times a week, and lost 10 kg. You body is a trust, it is a gift from Allah. And we are supposed to take good care of this trust and utilize it in a way that is pleasing to Allah. Becoming slaves to our mouth taste is not at good strategy for making it to the highest ranks in Paradise. There’s plenty of refreshing and energizing foods you can eat and enjoy. Fresh fruits and vegetables are on top of the list. I don’t have a problem with chicken and lamb, and sometimes beef. I do my best to get good quality. I personally can’t afford organic, but I don’t buy the regular stuff in the market (here in Jordan the regular is really poor quality with injected with hormones and antibiotics). Fish is great, but try to get deep ocean fish. It is expensive, but having good fish once every week or two weeks is better than having bad fish twice a week. Salad makes a fair portion of our main meals. It helps one feel a bit full but not bloated like rice. My wife and kids eat rice (trying to go for brown rice…not quite there yet) and wholegrain bread; my system doesn’t deal well with starchy foods so I only rarely take in a little bread or rice. The children love milk and it is great for them. Certain brands here are better than other; it all shows in the quality of milk (if you pay attention only). I take milk in moderation since I am lactose-intolerant. We have not had processed food for many years now. Everyone knows how bad it is for your health and what goes into it while being processed. We used Stevia leaves as a natural sweetener. It is a perfect healthy substitute for sugar with virtually no calories. It may take a little while to adjust to its taste however. 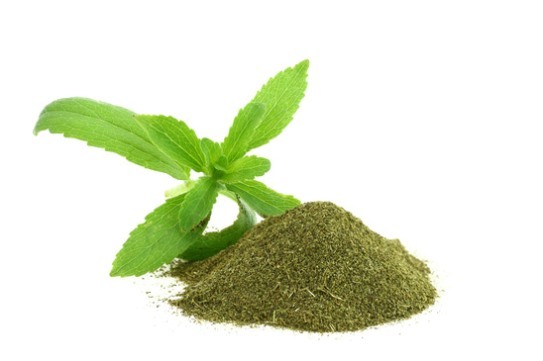 Stevia has been in use for hundreds of years in South America, and decades in Japan. It has become available in almost every chain supermarket in the world. The green stevia leaves are the best choice but you can still use drops, powder or tablets, but the last two have chemicals. Make sure you read the ingredients before you buy; many so-called stevia products are face and have little stevia and more artificial sweeteners, or even sugar. Sometimes we would use honey, but you have to be careful. Most honey in the market is not real honey; it is virtually syrup full of cane sugar. Real honey is expensive, really expensive. Manuka honey, Yemeni (Sidr) honey, and some Kashmiri honey are among the best but most expensive. Open-mindedness: alhamdulillaah none of us at home worship food. If you feel surprised, I assure you there are people out there who their food more than they love Allah! Sounds strange? There are people who have created sacred rituals around food, and when someone fails to observe and respect their rituals they go mad. Their day falls apart, their temper is spoiled, and everything goes awry. Open-mindedness made us willing to accept the truth about sugar and other foods. We put food where it belonged: a basic need that nourishes our bodies for one ultimate reason: to enable us to worship Allah well. Avoiding any reliance on sheer willpower. We didn’t suffer as we eliminated sugar from our diet. We simply changed its meaning, we put it where it truly belonged: a poison. Therefore, the desire for sugary stuff was completely eliminated from our minds, and disgust towards sugar took its place. So our transition was smooth. All members of the family took an active part in the decision; no one was forced into it. My wife learned so many ways to make healthy sweets using stevia leaves, dates, and on rare occasions, honey. You can find plenty of websites that offer recipes of sugar-free healthy sweets. And luckily such sweets look great and taste just as good. The kids needed constant reminders of the negative effects of sugar. No admonitions were give, just real information about the victims of sugar! We keep reminding ourselves that our bodies and minds are a gift and trust from Allah, and out of thankfulness we feel a deep urge to take good care of Allah gift as a gesture of thankfulness. I tried my best to document the positive changes I was witnessing so I can visually see the difference this new diet made. Humans tend to forget and get used to the new situation and slowly forget the link between cause and effect. So this documentation (photos: before and after; records of my daily productivity; records of my daily moods and feelings; etc). I even noticed our food expenditure went down by 40% despite the recent hikes in food prices (add this to the reduction in medical expenditure!). Books I recommend: Never Get Sick Again: Health is a choice, learn how to choose it, by Raymond Francis. Why Diets Fail: Science explains how to end cravings, lose weight, and get healthy, by Nicole M. Avena & John R. Talbott. Ultimately it was the mercy of Allah that guided us and enabled us to make this change. I wrote this account and shared it just because I know this may inspire some of you to take that step. I would be so happy to know that on Judgement Day that Allah has saved people from immature death or improved their health and experience in life due to something I wrote! I hope you enjoyed reading this and benefited from it…Peace! 1 Responses on How I Broke from My Sweet Addiction to Sugar"
MashaAllah. 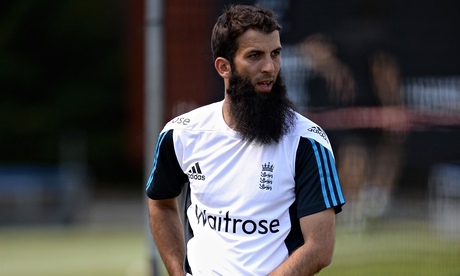 ….great article , just what i was looking for , May Allah reward you..